Darbi College celebrated its 10th opening ceremony on 15 September 2016. The 2016-2017 academic year will mark the tenth anniversary of the college and the first day of school was charged with special energy. Both students and teachers had fun in an engaging teambuilding activity where they all got to know each other, followed by the long-awaited Personal Tutor meetings. 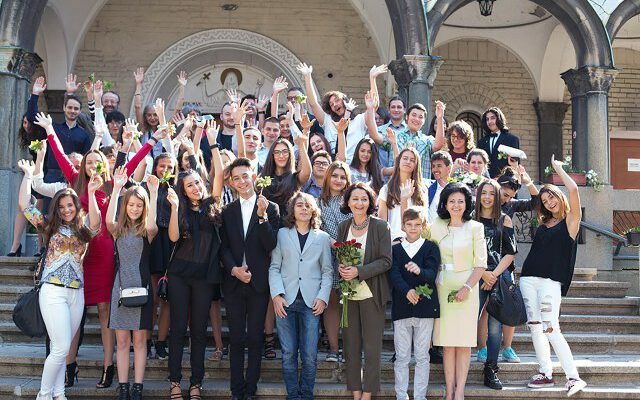 We are happy to see our last year’s students and teachers and we are more than eager to welcome the new faces! The staff of Darbi College wishes everyone a successful and rewarding 2016-2017 academic year!